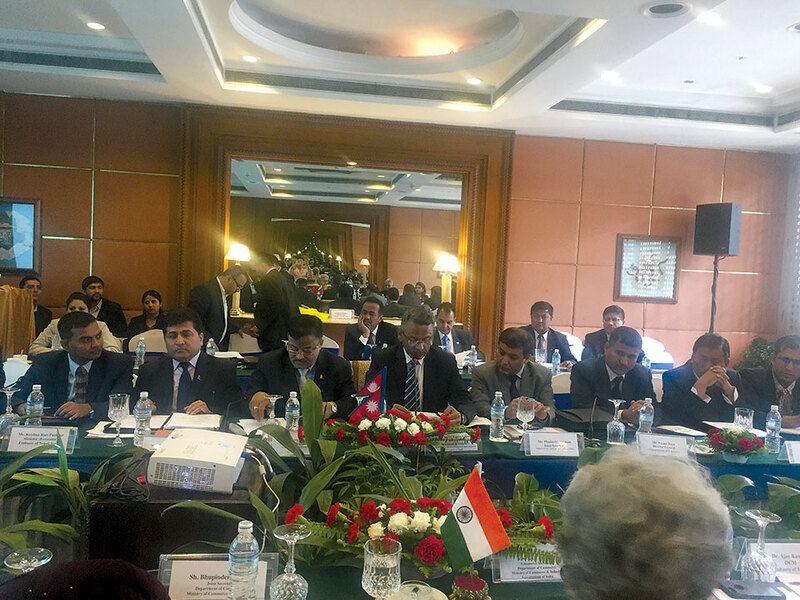 Nepali delegates taking part in Inter-Governmental Committee between India and Nepal on Trade, Transit and Cooperation to Control Unauthorized Trade held on April 26-27 in Kathmandu. Commerce Secretary Chandra Kumar Ghimire had led the Nepali Delegation. Indian delegation was led by Commerce Secretary Rita Teaotia. KATHMANDU, April 30: Nepal and India have agreed to make amendments to the bilateral Treaty of Transit to further facilitate transit movement of Nepal's trade with third countries. During the two-day meeting of Inter-Governmental Committee between India and Nepal on Trade, Transit and Cooperation to Control Unauthorized Trade held on April 26-27 in Kathmandu, the two countries agreed to expand transit points, simplify procedures, and ensure electronic cargo tracking. The two sides also agreed to consolidate all earlier amendments to the Treaty of Transit within a month. According to the Embassy of India in Kathmandu, Nepal and India have agreed to initiate a comprehensive review of the bilateral Treaty of Trade, which governs the bilateral trade by July 2018, considering all factors that have hindered cargo traffic. The treaty signed between the two countries in 1999 was last revised in 2009. Since most bilateral trade takes place through land customs stations across the border between India and Nepal, the two countries also agreed on synchronized development of border trade infrastructure to ensure timely utilization of the investment in border infrastructure. 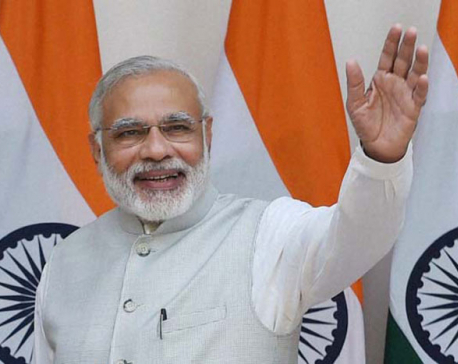 As part of the agreement, Nepal will also take measures to enable movement of Indian cargo through Nepali territory. During the meeting, the two countries emphasized the need for bilateral harmonization of standards and expediting progress on MoUs between concerned agencies, including BIS and FSSAI from the Indian side. The two sides further agreed to work towards mutual recognition of each other's testing and certifications. The two countries had earlier agreed to constitute India-Nepal Joint Business Forum consisting of industry representatives from the two countries that will function as an institutional business-to-business mechanism for providing policy level inputs on trade and investment in order to ensure regular inputs from business and investors. During the meeting, there was an understanding to hold the first meeting of the Forum in near future. The meeting led by Commerce Secretaries of the two governments functions under the India-Nepal Treaty of Trade and India-Nepal Treaty of Transit. It provides a platform for discussing and reviewing bilateral trade and transit related issues. The meeting was preceded by a meeting of Inter-Governmental Sub-Committee on Trade, Transit and Cooperation to Control Unauthorized Trade at the Joint Secretary level on April 24-25 in Kathmandu.